With car2go packages, now you can book a car2go for a longer period of time – and save on the minute rate. Book car2go packages for 2 hours or even for a whole day! Each package includes a fixed number of kilometres. It's not a problem if you drive more kilometers than are included in the car2go package. 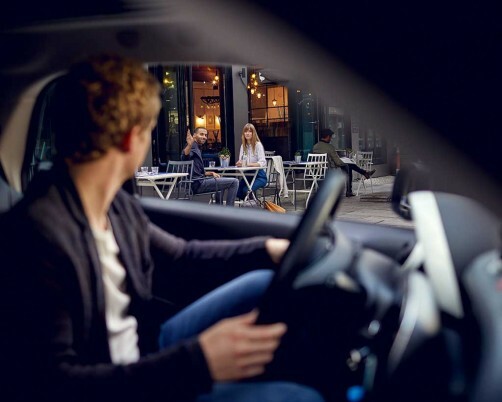 When the kilometer limit of your car2go package is reached, the long distance rate for each additional kilometer is applied. It's not a problem if your trip lasts longer than planned. When the time limit of your car2go package is reached, the normal minute rate for each additional minute of your car2go rental is applied. After you find and select a car2go, you’ll automatically see a list of car2go packages next to the normal minute price.